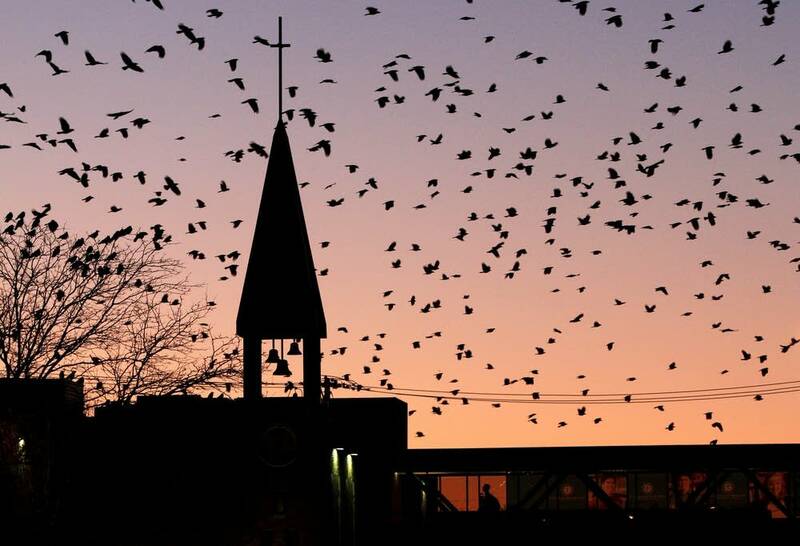 As they do with the coming of winter every year, thousands upon thousands of crows -- maybe even millions -- have started to swarm, caw and roost each night in downtown Minneapolis. They're likely attracted by the city's warmer climate compared to the countryside, the availability of food to scavenge from trash cans, and street lamps that help them keep a lookout for predators, especially Great Horned owls. But while they will famously eat pretty much anything, and they do tend to leave a carpet of droppings beneath their roosts, University of Minnesota ornithologist Bob Zink says this kind of flocking behavior for survival shows that crows don't deserve the bad rap with which they've been tagged -- thanks in part to movie director Alfred Hitchcock, in whose movie, "The Birds," crows made it open season on humans. 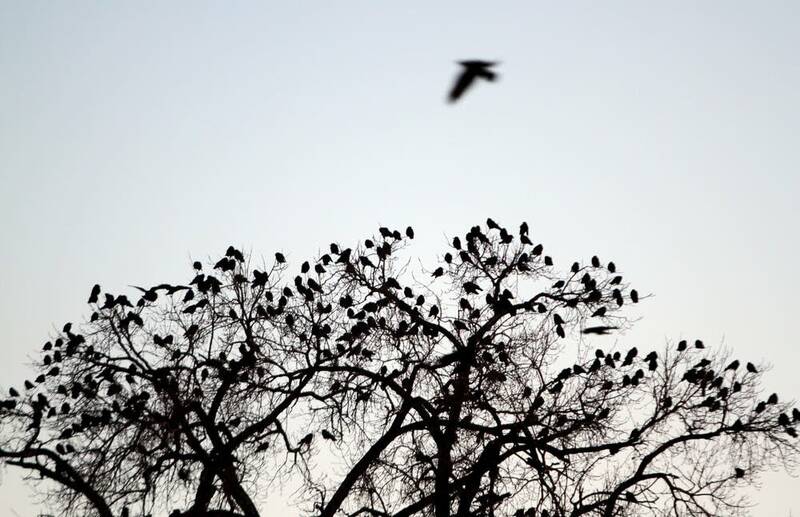 It's true that crows, like other critters, will attack if their nests or young are threatened. 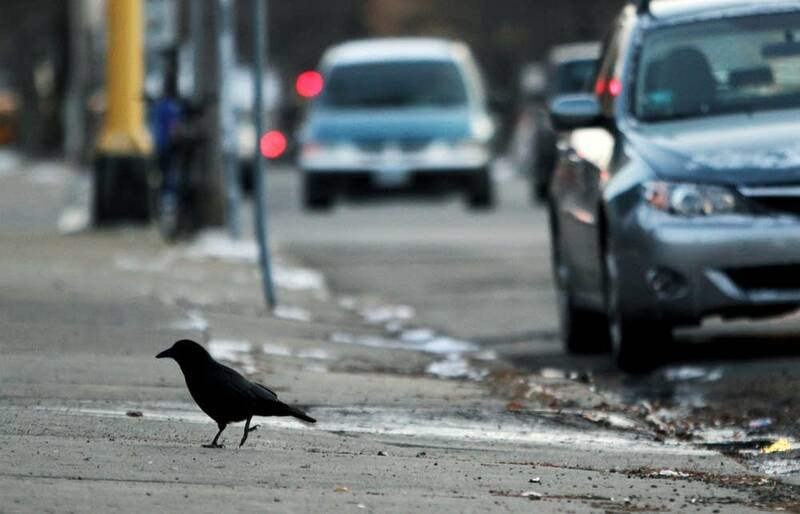 But on a tour of neighborhoods around Elliot Park, Zink says, no, city residents need not fear a crow assault. 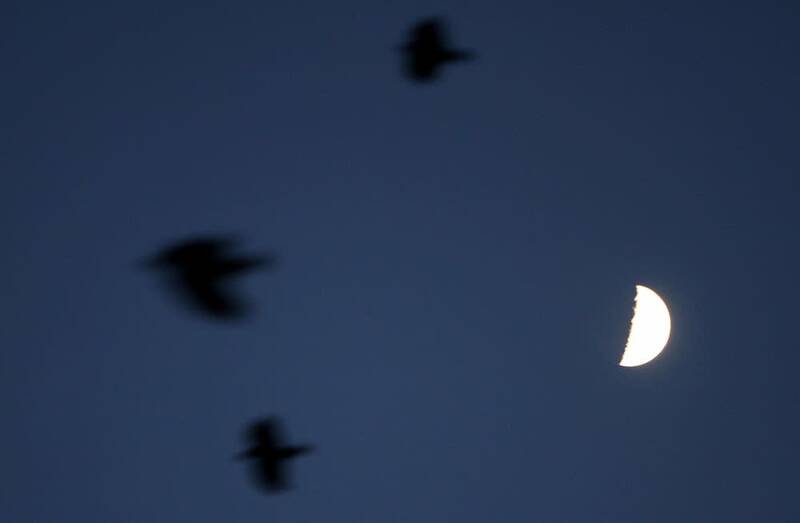 And while it's also true crows will eat anything, and leave carpets of droppings beneath their roosts, we shouldn't fear their presence as a harbninger of disease. Zink also insists we ignore the Old Testament rule about crows being unfit to eat. Prepared properly, crow is tasty, he says, and the variety of recipes out there shows others agree. "Crow hash, to crow stew, to crow steaks -- I even found a crow shish-ka-bob recipe that seemed pretty interesting," Zink says. Click on the audio link above to hear this latest installment of Minnesota Sounds and Voices.